The Cornflower is a slender plant of great charm, indigenous to Europe, today they are rare in the wild, they flourish instead in gardens. They are the most splendid of annuals. Breathtaking when they're grown in dense drifts, they are easy to grow, they flower all summer, make great cut flowers and butterflies and bees adore them. The other advantage is that they're a hardy annual, which means they can be sown late in autumn or very early in the spring. The seedlings have time to establish before frost sets in. They will develop strong roots during the cool months, allowing them to form bigger plants and to flower six weeks earlier. When we think of cornflowers, we imagine running through vast fields of them, but you don't need a huge area to grow them, in fact they can be easily grown in containers. 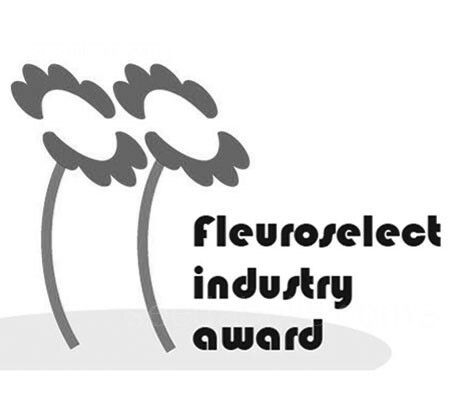 The 'Classic' series is a winner of the Fleuroselect Award. It offers flower lovers three fabulous shade-mixtures. 'Classic Romantic' is a delightful mixture of charming pink and pretty rosy-red shades. The flowers are often in two shades of pink, or have a dark center and lighter petals. Many flowers are rosy-red and have white tips. 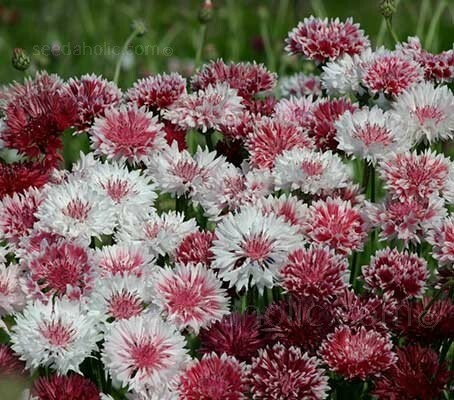 By sowing this variety you will add some romance to the border, and to summer bouquets. Sowing: Sow in August to September for early summer flowering the next year or sow directly where they are to flower in March to April. Sow thinly, 3mm (1/8in) deep in drills 30cm (12in) apart in well-cultivated soil which has been raked to a fine tilth. Water ground regularly, especially in dry periods. Sow in pots or trays of moist seed compost and cover with a very fine sprinkling of compost or vermiculite. After sowing, do not exclude light as this helps germination. Keep at 15 to 20*C (59 to 68*F). Keep the surface of the compost moist but not waterlogged. Germination will usually take 14 to 21 days. When they are large enough to handle, transplant the seedlings into 7cm (3in) pots or trays. Overwinter plants in cool, light, frost-free conditions before planting out the following spring, or grow on as greenhouse pot plants. This fully hardy plant requires a sunny site, growing in most well-drained soil types, even poor soil. Do not over fertilise because this will lead to excessive leaf growth at the expense of blossoms. Cornflowers bloom more when crowded. The wiry plants may need some discreet support, and deadheading helps to prolong the flowering season. The use of cornflower petals in cooking is an ancient practice. The flowers can be used to add colour to salads. Cornflowers are often used as an ingredient in some tea blends and is famous for its use in the Lady Grey blend of Twinings. Monks in twelfth century England and Ireland, and later Wales and France made cornflower wine, which was used to treat a wide variety of ailments. Wild cornflower floral water is still produced in Provence, France. Cornflowers are prized historically for their blue pigment. Centaurea cyanus is indigenous to Europe and now grows wild in all temperate regions. The genus name Centaurea comes to us from the Centaur Chiron, who cured a festering wound that was made with an arrow dipped in the Hydra's blood. The wound was cured by covering it with the flowers of this plant, which now bears his name. The species name cyanus was given because of the flowers vivid blue colour. Common names include - Ragged sailor, Witches' bells, Happy skies, Haw dods, Cornbottle, Corn centaury, French pink, Brushes, Bunk, Corn binks, Blue tops, Bluets, Blue bow, Blue poppy, Blue sailors, Blue blaw, Blue bonnets, Bluebottle, Barbeau, Blaver and Blawort. It was also called Break-your-spectacles and also Hurtsickle because its tough stems blunted the edges of the farmer's sickle as he reaped the corn. In folklore, cornflowers were worn by young men in love; if the flower faded too quickly, it was taken as a sign that the man's love was unrequited. The common name of Cornflower is also used for chicory, and a few other Centaurea species, to distinguish Centaurea cyanus from these it is sometimes called the common cornflower. When Napoleon forced Queen Louise of Prussia from Berlin, she hid her children in a cornfield and kept them entertained and quiet by weaving wreaths of cornflowers. One of her children, Wilheim, later became the emperor of Germany. Remembering his mother's bravery, he made the cornflower a national emblem of unity. In France the 'Bleuet de France' is the symbol of the 11th November 1918 armistice and, as such, a common symbol for veterans, similar to the Remembrance poppies worn in the United Kingdom and in Canada. Bachelor’s Button, Kornblume, Centaurée barbeau. Pink and pretty rosy-red shades.